The land of kings and the world of palaces and forts, Rajasthan is one destination in India which has been alluring tourists from all over the world. After all, it is the only state in the country where one can savour the experiences of living a royal life. From age-old temples to centuries-old palaces and forts, dazzling lakes to rich wildlife sanctuaries and luxuriant hills to boundless deserts, it houses myriads of spots that are all set to charm you. Like every other state, it also boasts of certain things which can only be experienced within its boundaries. So, here we list down the 7 major experiences that you can gain only in Rajasthan. Read on to know more about them and how they make Rajasthan a unique state. Well, this is one thing which you can't experience at any other place in India. The presence of the great Thar Desert makes Rajasthan a perfect spot for desert camping. Who wouldn't love to pitch their tents in the golden sand of a desert and watch the beautiful horizon as they get transported to another world filled with joy? As Rajasthan experiences an extremely hot weather during the summer season, desert camping is mostly undertaken during the winter season. If you love stargazing, then desert camping at night would certainly interest you. How about experiencing the beauty of Venice in India? Well, if you would love to do so, then you must plan a tour of Udaipur in Rajasthan. Also known as the city of lakes, Udaipur is home to several beautiful palaces and majestic forts. It is one of the few cities in the country where one can actually feel the grandeur of living a royal life. The breathtaking views of its astonishing lakes as they wake up in brilliance at the time of dawn and dusk assuredly need to be captured. Here, you can explore palaces and forts while paddling through the relaxing waters of these lakes. The Rajputs and Rajasthan have always gone hand in hand. Therefore, there cannot be a better place than Rajasthan if you are looking forward to exploring the history of the Rajput kings. After all, this enchanting state is called the land of kings. From Amer Fort to Chittorgarh and Jal Mahal to Kumbhalgarh, there are hundreds of places that narrate the legends of the Rajput glory. Hence, it is no wonder Rajasthan is a tourist hub for thousands of history lovers. Most Read - Interesting Facts About The Massive And Incredible Fort Of Chittaurgarh In Rajasthan. Who wouldn't love to get an experience of staying in a lavish hotel that is actually a palace? Well, everyone would. Today, Rajasthan is the only state in India which has every city housing a marvellous hotel that was once a royal palace. So, pack your bags now and get ready to feel like a king. Where there is a desert, there has to be the opportunity of savouring camel safari. This is one experience that will provide you with everlasting memories of enjoying a camel ride while you explore the rustic beauty of the state. 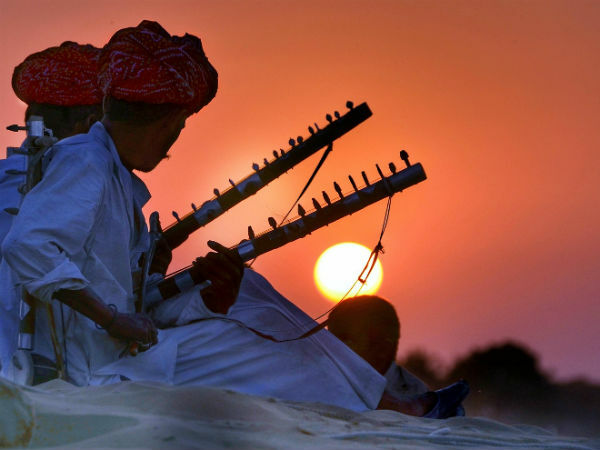 The major places in Rajasthan where you can relish this beautiful experience include Jaisalmer, Bikaner and Osian. Located in the vicinity of Jaipur, Bangarh is a small village which is immensely popular for its fort, which is said to be the spookiest place in the country. Such is its fame as a haunted place that even the Indian government had to make people aware of the unusual incidents that happened within the fort. Today, it is legally prohibited to enter the fort region after sunset. Doesn't it send chills down your spine? If on one hand, experiencing the royal life of Rajasthan is mandatory for every traveller, then on the other hand, savouring the beauty of its country life is also necessary for a traveller. The villages and small towns of the state are the places where you can learn in detail about its raw culture as well as savour the best of local dishes.